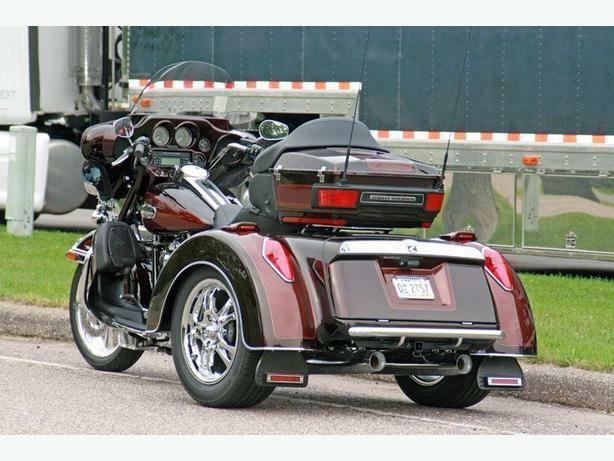 Roadsmith HDTR Trike conversion is designed for the 1996 and newer Harley Davidson Touring models. That's the Road Kings, Classics, Street Glides and Ultra Classics with a 10" longer wheelbase. The Roadsmith HDT Trike conversion is designed for the 1996 and newer Harley Davidson Touring models. That's the Road Kings, Classics, Street Glides and Ultra Classics. 10" longer wheelbase. The Roadsmith HDT-V conversion is designed for the 1996 and newer Harley Davidson Touring models. That's the Road Kings, Classics, Street Glides and Ultra Classics 10" longer wheelbase.